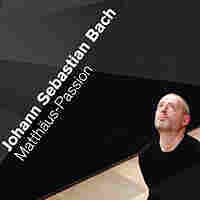 NPR Classical's Favorite Albums Of 2012 (So Far) : Deceptive Cadence The NPR Classical team discusses and spins a variety of favorite new discs and downloads. If the classical music record industry is trouble, you'd never know it by looking at my desk, or that of my colleague Anastasia Tsioulcas — mountains of good old-fashioned compact discs, ready for listening. And our digital space is also getting crowded by more and more downloads. It all adds up to a super broad range of music and musicians. As the year is half over, we've taken stock of a few (of our many) favorites and surprises so far. 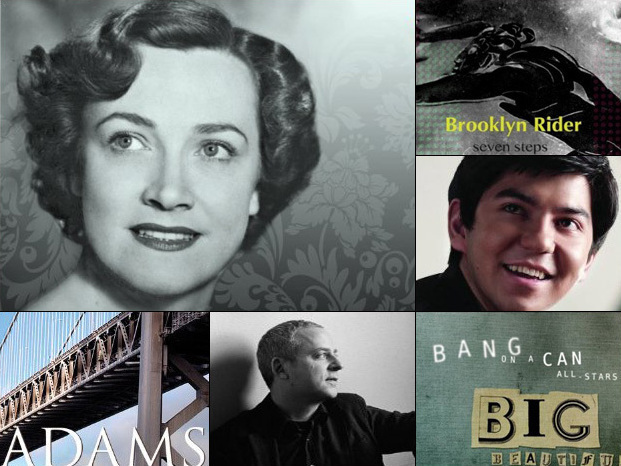 Listen to our discussion above and hear longer excerpts below of some of the best classical releases of 2012. Got some favorites of your own this year? Tell us about them in the comments section. See all of our Year In Music (So Far) coverage here. 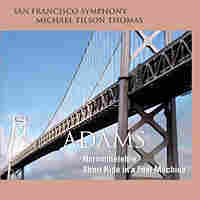 John Adams once described Short Ride in a Fast Machine (which shares this disc with the deeper, more substantial Harmonlielehre) as a "cranked up high-velocity orchestral juggernaut." And it certainly feels that way — like you're spinning and churning at a million miles an hour, fueled by the insistent pulse of a woodblock. Denk is smart. Really smart. But that doesn't make him a dweeb at the piano. His performances of terrifyingly difficult music — like Ligeti's finger crushing Etudes — seem as natural as the weather, but with a decidedly personal stamp. His curiosity and wit also surface in his writing for The New Yorker, NPR Music, Newsweek and the New York Times Sunday Book Review. (The MacArthur genius award seems like a future no-brainer.) 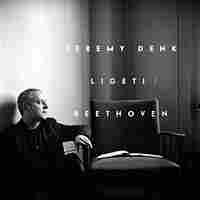 This coupling of Beethoven's final, forward-looking sonata with Ligeti's Etudes is fascinating. The centerpiece of this album is Beethoven's massive, mysterious String Quartet No. 14 in C# minor, Op. 131. 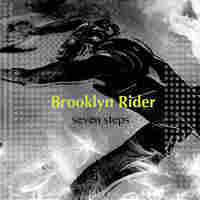 The young New York-based quartet Brooklyn Rider gives the music a very different spin, sliding from note to note sometimes in what some purists would call excessive portamenti. The players want to uncover the vocal aspects of Beethoven's music, presenting themselves as singers of a song. It's a bold step that pays off in the expansion of the music's legato lines, in what is a brand new view of an often heard piece. 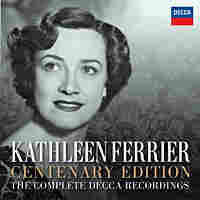 Kathleen Ferrier, a true low-voiced contralto, died of breast cancer in 1953 at age 41, at the height of a spectacular career. She had no conservatory training, but rose quickly in the 1940s to become one of the most compelling and communicative singers on record. In the documentary DVD that accompanies this 14-CD set, esteemed British mezzo-soprano Dame Janet Baker describes this unaccompanied folk song, "Blow the Wind Southerly," as encapsulating the entirety of Ferrier: "You're getting the glory of this human sound, her genius with the words and the way that she makes them." 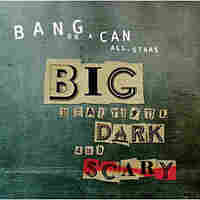 Who would have thought that the wild youth of the avant-garde, the Bang on a Can collective, would be celebrating their 25th anniversary? They offered free downloads of this 2-CD set as a gift to fans. One of the highlights is For Madeline, a harrowing tribute by Michael Gordon on the passing of his mother. The music is not sentimental, but evokes some specific sonic images including beautiful reimaginings of traditional Jewish sounds. Listen for echoes of the shofar, the ram's horn of the High Holy Days, and the Kaddish prayer of mourning. 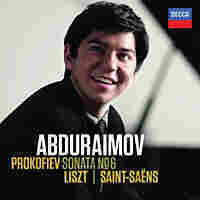 This 21-year-old pianist from Tashkent has kept a low profile, but his new recording will change that. With terrific technique, clarity and brains, this young firebrand is someone to keep your ears on. His performance of Saint-Saens' Danse Macabre, in its doubly souped up version by Liszt and Vladimir Horowitz, it something to behold. One British critic has already called his playing "a gift from God." What if Richard Wagner were reincarnated as a 1960s Peruvian hipster surf guitarist? His music may sound something like this audacious cumbia remake of "Ride of the Valkyries" by the Brooklyn-based outfit called Chicha Libre. 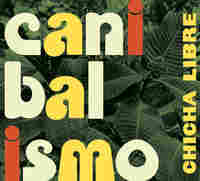 Masterminded by Olivier Conan, proprietor of the music performance space and pub Barbes in Brooklyn, Chicha Libre is inspired by the spectacularly lo-fi sounds of psychedelic Peruvian rockers from the '60s and '70s. When Haydn string quartets begin to sound tired at the dinner party, just pop this song on the stereo.